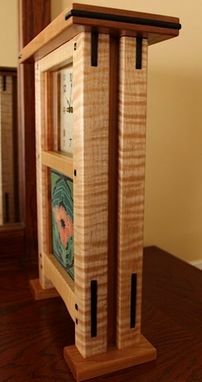 The Curly Maple Mantle Clock was made from a plan provided to me from a Florida client. 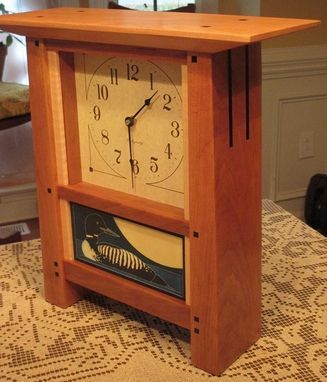 The clock was made from Curly Maple and Cherry. It has Ebony Pegs and a genuine Motawi tile. The second clock (all in Cherry) features Ebony Pegs and the Motawi tile. 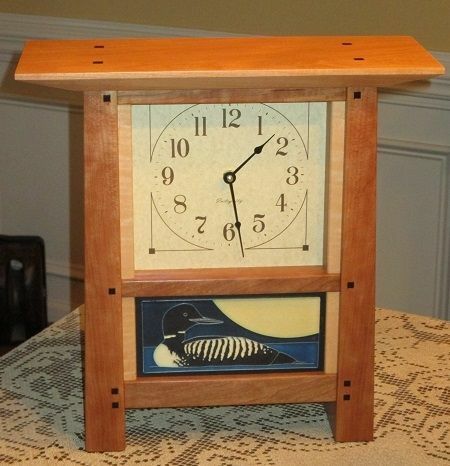 Both are in the Arts & Crafts/Mission/Shaker style, but can be made in any style to fit your décor. 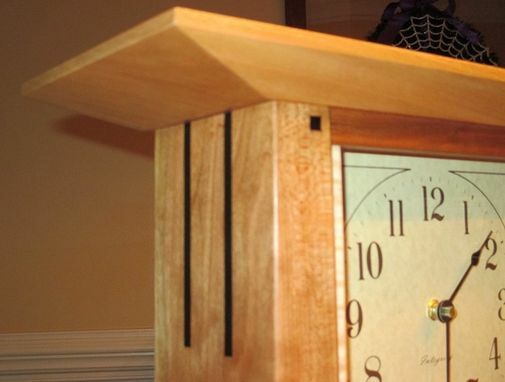 I'm extremely happy with the mantel clock. 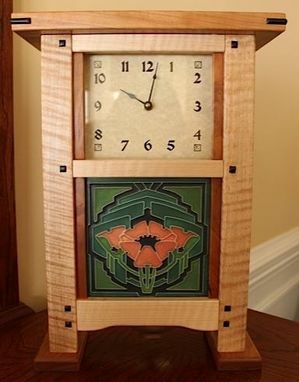 The craftsmanship is outstanding. He worked extremely with me on customizing this product and also exceeded my all my expectations. I strongly recommend Dsa Woodworking!